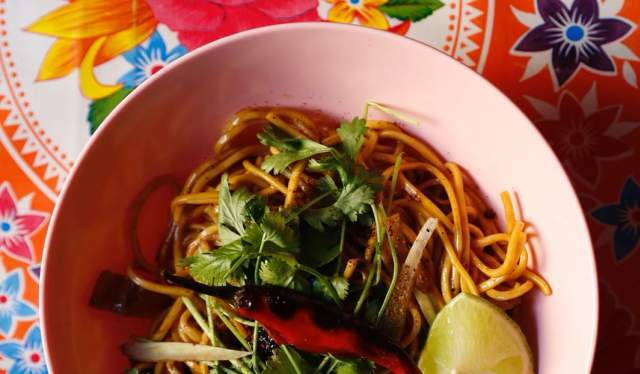 Oslo’s Mexican food scene has been booming for the last few years. This autumn, a British street chef has arrived in the city to make the Norwegian taco even tastier. Although the taste of Norway typically is associated with traditional dishes such as fårikål (lamb and cabbage stew), lutefisk (dried cod soaked in lye) and pinnekjøtt (salt-cured rack of lamb), a very different kind of dish is gradually making its way as a modern-day Norwegian national dish. When Norwegian radio listeners were invited to vote for what should be the national dish in 2014, taco somewhat surprisingly came out at 4th place – just behind fårikål, meatballs in brown sauce and lapskaus (lobscouse stew). To thousands of Norwegians, Mexican street food – supplemented with screen entertainment and homely kos (coziness) – has become such an essential part of the weekend ritual that “Taco Friday” is an established concept. 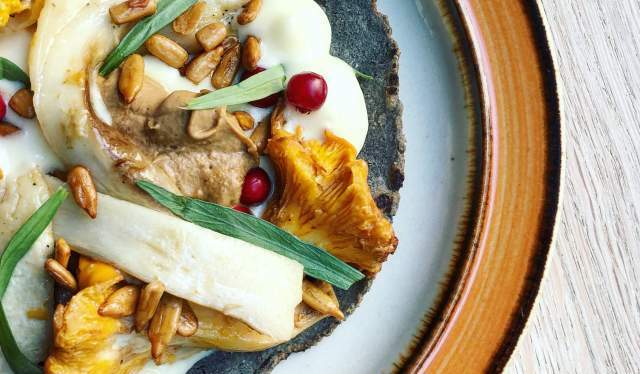 In recent years, this seemingly insatiable hunger for taco has generated a boom of restaurants focusing on authentic Mexican cuisine on Oslo’s food scene. British taco chef Nud Dudhia is the latest enthusiast determined to expose the capital’s palates to the true taste of Mexico. 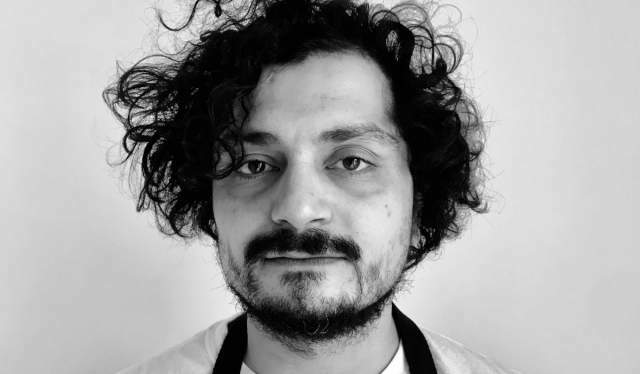 Throughout September, you’ll find him in the kitchen of the popup restaurant Maiz in the residential area Tøyen, located in the cozy bar Gurken Gurken Gurken Gurken right next to the district’s popular restaurant Bar Brutus. “The place is perfect and small, with room for 25-30 guestes. We’ll focus on a very concise menu and local, biodynamic produce. We’re getting whole animals in here, and we’re using the parts that Bar Brutus don’t use, so it’s sort of an eco system”, Dudhia says to Visit Norway. With his buddy Chris Whitney, the self-taught chef started his culinary career with a homemade taco stand – Breddos Tacos – in a closed-down parking lot in the Hackney district of London in 2011. Seven years later, Dudhia and his business partner run and own five restaurants in his hometown. The duo has also released a popular cookbook where they share their best taco recipes and tricks. Maiz represents a step back to the roots of his passion, Nud Dudhia says. “This is my first project in Oslo, so I’m excited. The scene here is super energetic, but less competitive in London, which is nice. Everybody seems friendly, helping each other out when needed. There’s also a lot of focus on great produce”, he says. Not too long ago, Mexicans restaurants were few and far between in Oslo. Currently, though, they seem to be everywhere. In Grünerløkka the old tex mex-classic Mucho Mas has been joined by newcomers Tijuana and Habanero, while Taco Republica and Freddy Fuego are found in the city centre. Other popular Mexican eateries include Coyo, Cielito and El Camino. But what is it about the taco that makes it increasingly popular on the Oslo food scene, as well as among the general Norwegian population? Nud Dudhia points out the irresistible combination of simplicity and complexity that characterizes Mexican food – and the staggering amount of hard work behind every mouthful. Even though Dudhia seizes any opportunity to try new food wherever he travels, the chef has yet to taste what his rivals in Oslo has to offer.